“The Birth of a Nation” was the first film screened at the White House. Afterwards, Woodrow Wilson was reported to have said “It is like writing history with lightning, and my only regret is that it is all so terribly true.” The film would go on to contribute to the resurgence of the Ku Klux Klan in 1915. Last Friday, news broke that the Governor of Virginia, Ralph Northam, had a picture of two men, one in blackface and one in a KKK robe, on his page in his medical school yearbook. Personally, the news left me with a sense of self-reflection. Back in high school, in an effort to do something different for senior prom, my friend and I made a list of different themes we could do outside of the usual black tuxedos. 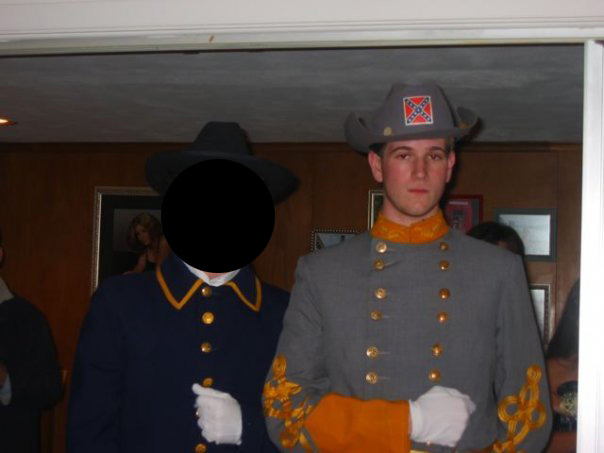 Being a fan of history, we chose to go with the Civil War, with my friend in a Union army uniform, and myself in the Confederate uniform. I’ve never attempted to bury this fact from view and I’ve never made excuses for it, nor will I now, but over the years this moment has been gnawing away at me. Simply put, it’s about my own lack of mindfulness and a direct contradiction to how I’ve tried (with varying success) to live my life thinking about how my actions affect those around me. I’m sorry for this. So I’m making it completely open. Though there’s nothing I can do to change it, the least I can do is be honest about it.